Construction Insure have access to all of the providers in the structural warranty insurance market and have comprehensive knowledge of which insurers like which risk.Going alone could be costly if you are approaching the wrong markets for your build. Whatever your structural warranty insurance requirements, please get in touch today for a free no obligation quotation. Even after you’ve finished a construction project, your responsibility, and liability, for the build isn’t over. Did you know that, even twelve years after a completed build, your client can make a claim against you for any structural damage? Over a decade later, you can find yourself financially exposed and legally responsible for problems that have only just surfaced. They could have developed as a consequence of errors at the design stage, issues with incorrect construction or through the use of faulty materials. Fortunately, Structural Warranty Insurance can protect you from claims of this nature. Why do you need Structural Warranty Insurance? A Structural Warranty policy will safeguard you from any damages claimed against you for remedial work that needs to be carried out on a property you’ve built. For example: rectifying water damage; repairing unsound walls, floors or ceilings; or in extreme circumstances, ensuring that the building doesn’t collapse. You’re also protected from the costs of the removals, furniture storage and other associated charges of that type. And, if what’s termed ‘non-structural components’ fail, which are items such as boilers, kitchen units, wiring and piping, the policy also covers those costs. If you’re intending to sell a building you’ve constructed, a Structural Warranty policy is something you’ll need to put in place. That’s because most mortgage lenders stipulate this cover for a building less than a decade old. While you can still sell without a policy, the legal fees alone would cost you many times the insurance premium, let alone the time you’d have to invest. Also, if you’re intending to refinance to let your building, long-term, you would need a Structural Warranty in place. An additional benefit of the policy is that, if you’re intending to occupy the property yourself, you won’t have to pay Community Infrastructure Levy (CIL). This tax applies where you’ve created an additional floor area of 100 square meters or more in a new development or home. There are other factors taken into consideration but, generally, your premium would be considerably less than paying CIL would be which, in some cases, can be as high as £50,000. How else does Structural Warranty Insurance help you? The plain truth is that even after you’ve done everything you can to deliver a finished build to your client, to their deadline and budget, they will still pursue you, legally, if an issue surfaces, up to twelve years later. 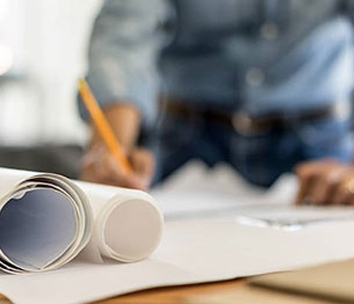 Even if you did a superb job of taking their project from blueprint to final sign-off, they won’t hesitate to hold you responsible for subsequent structural defects. A Structural Warranty policy will protect you, financially and legally, if this were to happen. In effect, it gives you peace of mind for years after the job is completed. At Construction Insure, we’ll get you the long-term protection you need. We work hard to ensure our policies are more comprehensive than the NHBC and our premiums are cheaper. We’ve gained more relevant knowledge than other brokers in the construction and development profession and we strive for premium customer service. Because we are independent we are able to access the entire market to find the best and most suitable policy for you. So, call us on 020 3958 6868 so we can talk to you about what you need and get you the cover that’s right for you. Any quotation is offered with no obligation. There’s no question that mistakes can occur during any building project. When you have multiple trades on site, you can’t watch everyone all of the time. When dozens of deliveries arrive during the course of the build, you can’t inspect every piece of timber, brick or steel. You have to trust your contractors and you have to trust your suppliers. Unfortunately, people make errors and not all materials arrive defect-free. Small errors or defects may not become big problems until many years later. But Structural Warranty Insurance will cover you for structural issues with load-bearing foundations and footings; load-bearing beams, girder and lintels; roof joists and trusses; roof covering and chimneys; floor decking and screeds. And you’ll also be covered for issues that lead to flooding. And your policy can be extended to protect you against failures in systems like air-conditioning and heating. You need policies that will protect your liability and indemnity in both the short and long-term. Because we specialise in looking after the construction industry, we’re able to broker the best cover to fit your project. And we’ll also make sure there are no hidden escrow payments or retrospective costs. Our insurance partners can take on full risk, right at the start, so, as a developer, you’re not tied in. If you’re required to observe a liability period, we only need two years, unlike the three years that NHBC demand you have. Our insurers also send trusted inspectors, such as engineers, architects and surveyors, to check construction. By doing this early in the build, they can stop problems occurring later on. 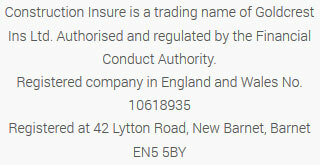 It’s also worth knowing that NHBC demand that a build is constructed in adherence to their own manual. If not, they will refuse your claim. We only require that you follow British standards for your build. What types of Structural Warranty Insurance are there? If you’re a residential contractor who’s building or converting private homes, in order to sell them on, this cover is the one you’ll need. It can be taken out for mixed-use developments and has the option of insuring you against developer insolvency, as well as obtaining alternative accommodation. This policy covers you for up to twelve years on conversions and new builds. You can also obtain cover for loss of rent. And you can extend the policy to 15 years of warranty cover, with right-to-acquire cover extension, with no additional premium costs. If a property has been built without obtaining a Structural Warranty, a Completed Housing policy will cover it up to a balance of ten years. So, if you have a three-year-old property, the insurer will cover your for the balance, which, in this case, would be seven years. If you’ve bought a property through developer insolvency, Simple Completion gives you the cover that a mortgage lender would stipulate. This enables you, whether you‘re an individual or a company, to sell the property privately. This insurance is for developers constructing their own homes. If you’re a builder working on a self-build development, you can obtain a policy on behalf of your client. Unlike Architect’s Certificates, latent defects policies provide cover in the event of damage caused by a defect in your property. To qualify for this insurance, you need to be planning to occupy the property for at least a year after it’s been completed. If you intend to be there for less time, a New Home Warranty is the insurance you’ll need. Funders and institutional investors require this insurance to cover purpose-built private rental properties. They insist that these residences are constructed to the right standards and insured against structural defects. Structural issues would mean paying for repairs and maintenance as well as the impact of a loss of rental income. The policy covers problems with the design, build quality and physical materials for up to twelve years after the build is completed. Where the original builder fails to put things right in the first year, we have insurers who will get this done. So your investment is safeguarded.